Social justice informs all our work with communities – it’s why we do what we do, and guides how we choose our partners. It is our aim to provide far-reaching access to making and creating activities across all sections of society with artists as facilitators for social change. 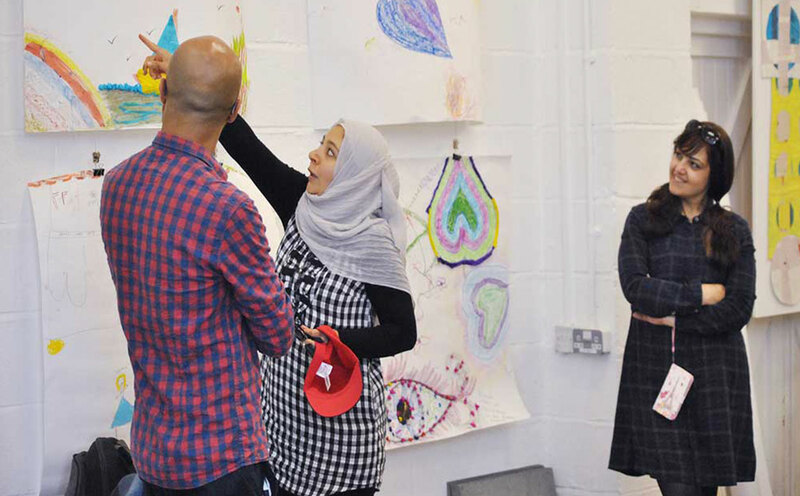 With a collaborative approach, Arts Lab complements and enriches service delivery of broad-ranging organisations with our own unique provision. We provide an open, non-judgemental environment in which to explore and create freely with the guidance of artists across a range of disciplines. We can create pop-up creative making spaces with you wherever you are. 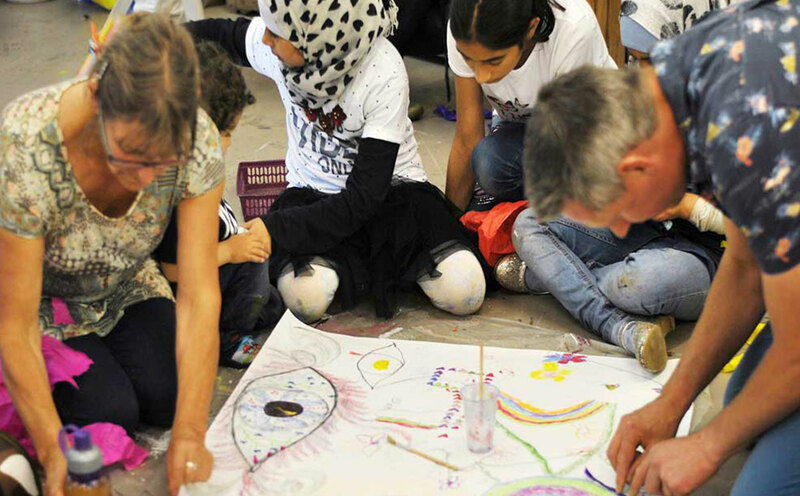 In schools and doctors’ surgeries, prisons and people’s kitchens, galleries and gardens, our priority is to create a welcoming, safe and non-judgemental environment to make art together. If you’d rather come to us, Arts Lab is based in a spacious artists’ studio on the Dartington Hall estate in rural Devon. The warm and comfortable 109-square metre space is equipped for versatile use for workshops, events and exhibitions. Creativity, curiosity and play are not just for the young, for artists or for those who can afford it. Whether a prisoner, business professional, school child, refugee, you or me – our needs are the same: to be able to express, to be heard, to have a purpose and to be part of a community. As a community interest company, Arts Lab works with education and health services, local businesses, students of art and education, refugees, prisoners, the hard-to-reach, learners of English as a second language and marginalised groups. Arts Lab’s approach is made to engage everyone. 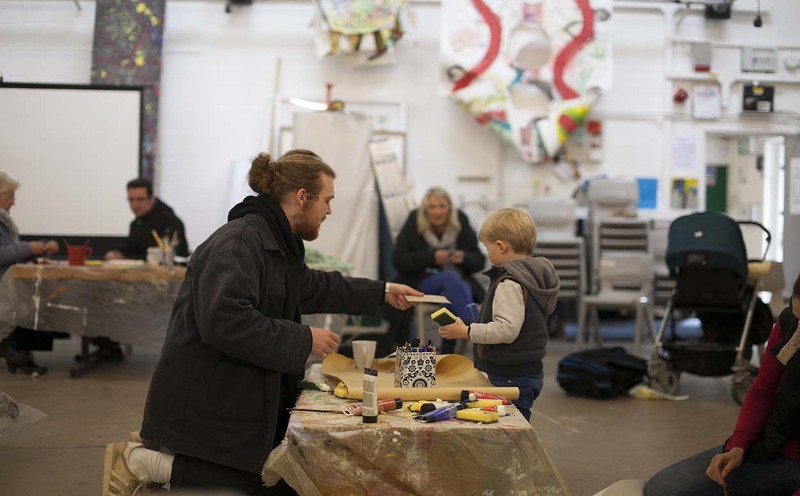 Through art and the personal investment of those we work with, we provide space for creative expression, experimentation and a love of learning. Vulnerable prisoners, business professionals, students, tired parents and carers: people who come through our door all benefit from the ‘unjudged, supportive, inspirational and fun freedom to express’ and share hope in something better.